Product contains milk, wheat, and soy. Produced in a facility that also processes egg, peanuts, and tree nuts (pecans, almonds, coconut, cashews, walnuts). 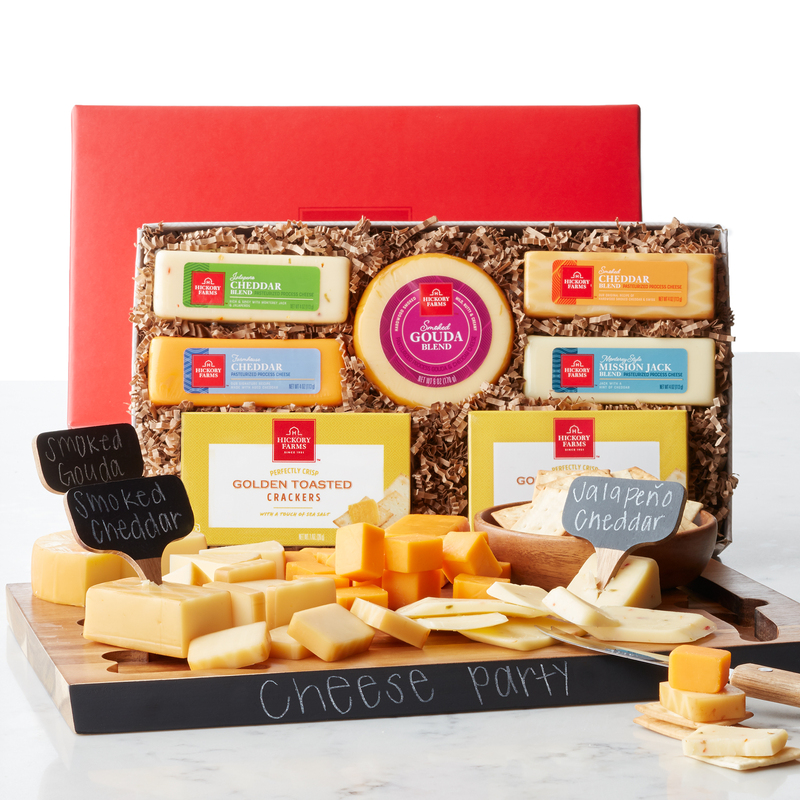 This gift set has everything your favorite party hosts needs to create a delicious cheese board at their next gathering. 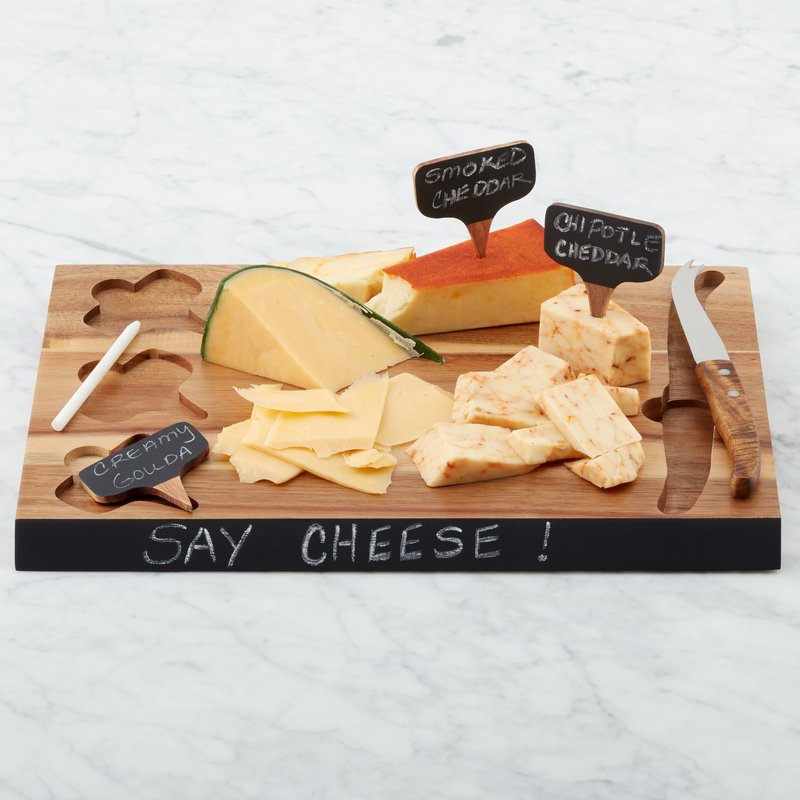 The acacia wood serving board comes with serving utensils and chalkboard cheese markers so guests can tell which flavor they're about to enjoy. 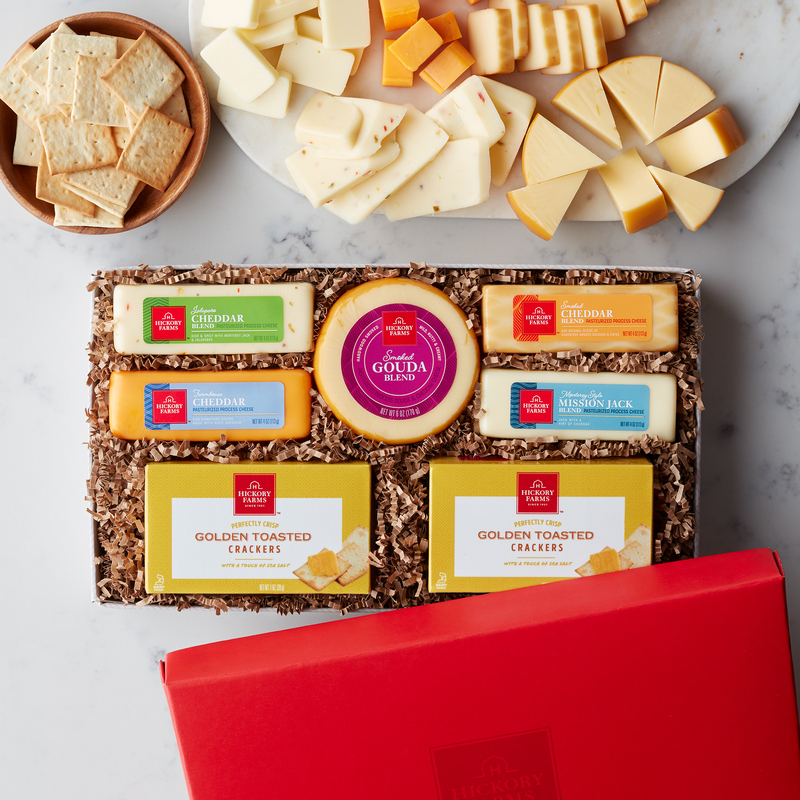 Arrange the included Smoked Gouda Blend, Jalapeño Cheddar Blend, Smoked Cheddar Blend, and Mission Jack Blend on the board and they're ready to entertain. Vendor Care Info: Wood board should be surface washed with a damp cloth; Do not submerge in water or soak; not dishwasher safe. Knife is not dishwasher safe. Wash with mild soap and warm water. Do not soak in water. Towel dry immediately. Occasionally rub board and knife handle with food-safe mineral oil to keep wood from cracking. Soapstone pencil marks can be removed with plain water. Use soapstone pencil on chalkboard surfaces only. Pencil can be sharpened with a pencil sharpener or sandpaper. Handle carefully to avoid breakage.